Let’s review! 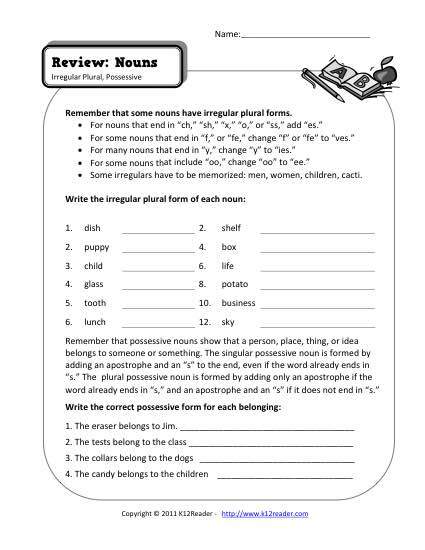 This worksheet covers some important noun concepts, such as irregular plural nouns and possessive nouns. You’ll find it helpful for 3rd grade Conventions of Standard English for Common Core Standards, but other students may also use it.